Mike is a class AA Golf Professional with over 25 years of experience. When he first turned professional, he like many other’s dreamed of a career playing on the European tour travelling the world following the sun. He was first associated with Notts. 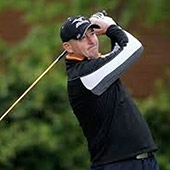 (Hollinwell) in 1987 as assistant to ex European Tour player and Head Professional, Brian Waites. He left in 1992 to become Head Professional at Keighley Golf Club in West Yorkshire, finally returning “home” when appointed Head Professional in 2004. As a golfer, he managed to win numerous North Region titles, including the City of Leeds Cup and Northern Rock North East Masters. In 1997, a highlight of Mike’s career was qualifying to play in The Open at Royal Troon. Mike now plays in local and national Tournaments, mainly with members. Mike is a well renowned coach working at Nottinghamshire county level. Individual and group lessons are available to members and non members and can be booked directly through the Pro Shop. His attractive shop is well stocked with many of golf’s leading brands including, Titleist, Taylor Made, Ping, Glenbrae and Galvin Green. Organisers of corporate and society events will be delighted with the range of goods suitable for prizes. You may wish to supply your guests with company or society logo products which can also be ordered through Mike. The shop offers a comprehensive “custom fit” service which will look at all aspects of your game. The launch monitor is used to ensure that you have clubs which are most suited to your swing. Mike and his staff specialise in fitting for Mizuno and Ping. The shop also offer’s a loft and lie check on your current clubs should you feel they need checking. The Pro Shop staff will help to run your day smoothly. This may include assistance with welcoming your guests, on course refreshments and markers, scorecard management and results service. Martin joined the professional staff in 2012. 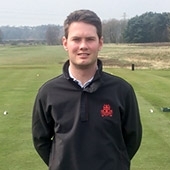 He won the Notts PGA Assistants Strokeplay Championship in both 2013 and 2014. In the 2015 season he had a number of top 10 finishes and won the end of season Notts PGA Pro-Am at Rufford Park. Martin is keen to improve his golf and is looking forward to the season playing in local and national PGA events. He offers golf tuition at Notts Hollinwell for members and non-members. Lessons include single one to one lessons, on course playing lessons or group lessons for men, ladies and juniors. Rhiannon is a PGA Assistant Professional who joined our team in May 2018. Rhiannon’s amateur career started off when she was just 8 years old at Coxmoor Golf Club when she joined as a junior member, a year later in June 2009 she broke the world record for the Youngest Female Golfer to get a hole in one, a huge achievement which kick started her ambitions to become a Professional Golfer. the Notts Ladies County 1st Team from 2012-2015. Rhiannon then joined the Professional team at Coxmoor and turned professional in 2015 and started her PGA Foundation Degree with the University of Birmingham. experience and knowledge not only in golf coaching but in Sports Science, Rules of Golf, Equipment Technology, Custom Fitting, Golf Psychology and Business Finance. 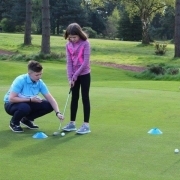 Rhiannon takes a huge amount of pride in all areas of her coaching; feeling great excitement in helping people to improve their golf, no matter what age or ability. Rhiannon provides individual and group lessons for Gents, Ladies and Junior Golfers. Rhiannon has developed a Golf Clinic Package and Development Programme, a tailored programme of sessions, which can be booked upon request.